Today I'm gonna do a review about the first sleeping mask that I ever use but funny enough I always forget to make a review about it. Since it's been so long I forgot how much this cost and where do I bought it. I think it was Rie Butik?? And the price is about $9.5 (IDR 95.000) I guess?? I don't know exactly. 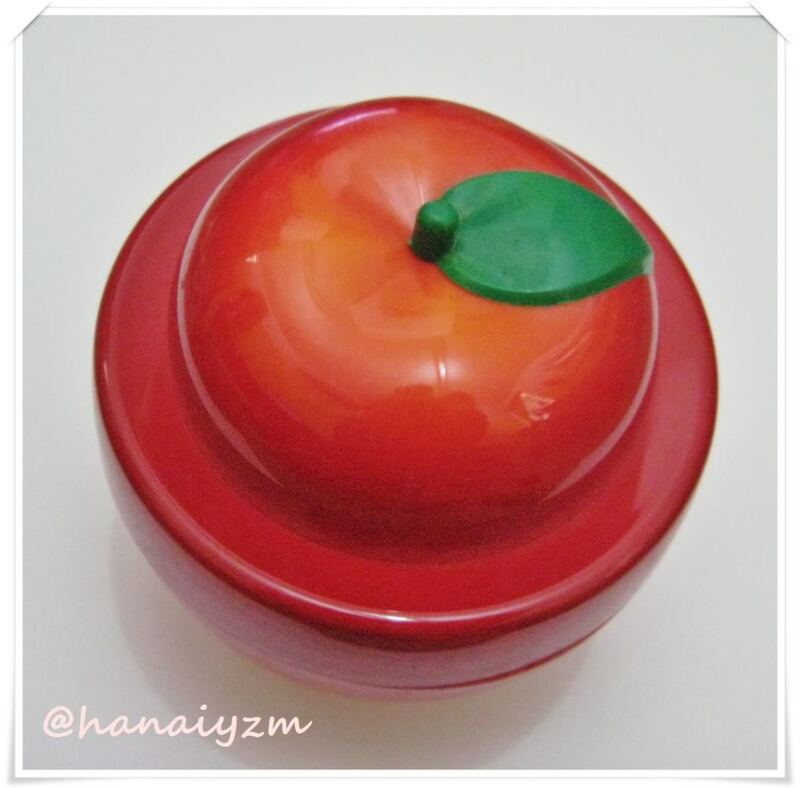 Anyway like any other Baviphat fruity series, the mask comes in a jar that has a shape of a bright red apple. Talk about cuteness right?? Apples contain various fruit acids to remove old dead skin cells in order to soften and brighten skin. 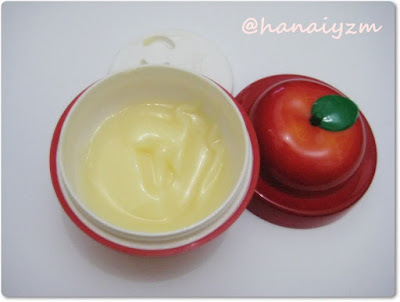 Ample amounts of pectin provide excellent moisturizing function. Apply a proper amount on your face before going to sleep. Rinse it off with luke warm water the next day in the morning. Since the mask is in a jar, Baviphat provided a small spoon on top of the lid to scoop the mask so it's more hygienic. The mask has a gel structure and has the smell of an apple, I mean it really does smell like an apple!! I like to whiff it now and then just because I like smelling it. It doesn't take a lot of products to apply all over your face and although it absorbs quickly it leaves a bit of sticky residue. I feel that I'm gonna leave a stain on my pillow if don't sleep carefully. But how does one sleep carefully anyway?? To calm myself I layer my pillow with a soft cloth or soft small towel whenever I use this sleeping mask. I read a lot of review that this mask helps with acne but unfortunately this mask do not help with my acne at all. 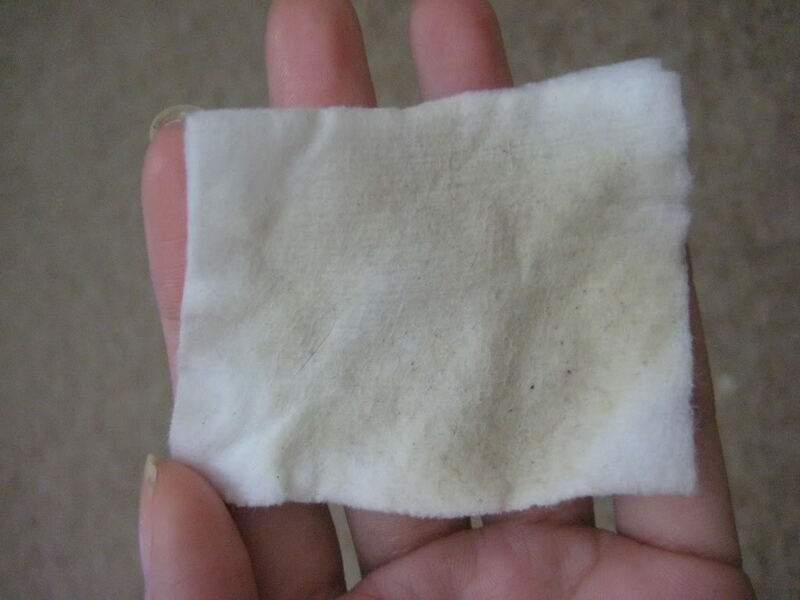 It's still there and it's still red, but my skin does feels hydrated, fresh, and supple. Although it doesn't help if I have an existing acne, I think it helps in preventing more acne from coming out. Usually when I have my period 1 or 2 acne comes out almost every morning adding to the one that I have before, but when I use this mask there's no acne coming out so I can focus on curing existing acne. Oh and my face do not feels and looks oily when I wake up in the morning. My favorite part when I'm using sleeping mask is when I wipe my face with toner the next morning and see how the facial cotton take away my dead skin. See... It comes out pretty dark.